Almost all of us want to adorn our homes with carpets. Carpets come in different types and colors. It has become a necessary part of everyone’s homes and is responsible for the ambience and atmosphere that a house gives out. If you own a carpet, then you certainly can’t get around it: One way or another, you’d have to get your carpets cleaned. Carpets are precious investments in your homes but it can also be one of the most high maintenance investments you’ll ever buy. They absorb all contaminants of your homes. If you want your carpets to be in tip-top shape, you need to have it cleaned on a regular basis. Carpet Cleaning Kings knows the difference of having a clean carpet in your home. Here are some signs that you need to look out for to tell if your carpet already needs to be cleaned. Your carpets are breeding grounds for allergens, bacteria and dust mites. Dust mites, bacteria and allergens will likely get stuck in your carpets over time. They will circulate inside your home and set off your allergies. Most allergens are likely to get stuck in the deep fibers of your carpets and cannot be removed by simple vacuuming. 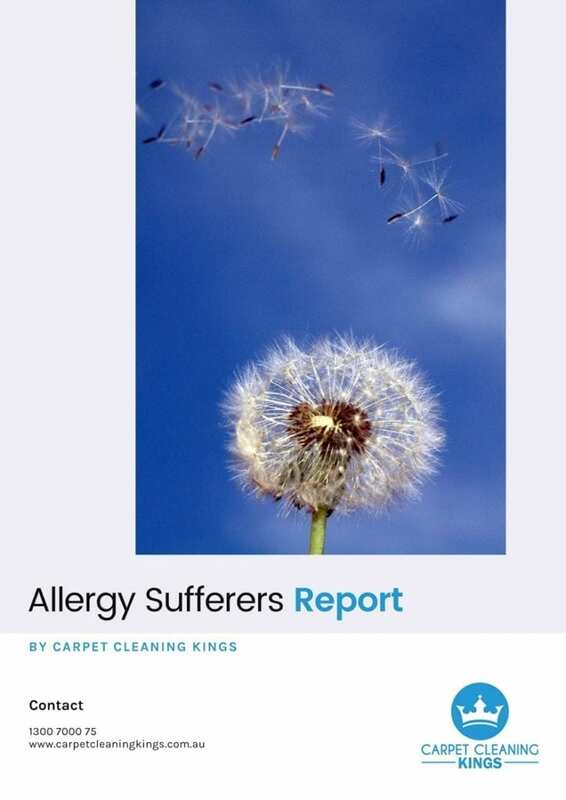 Professional carpet cleaners are capable of eradicating the allergens that are present in your carpets and would surely give your allergies that relief that you always wanted. The first thing that people would notice when they enter your home is the smell. Dirty carpets would be accompanied by a foul smell. It would definitely start to smell bad especially if it gets wet. A wet carpet if left untreated would surely develop mold and mildew. Mold is highly dangerous especially to those who are suffering from asthma. For those who are highly allergic, molds would certainly cause symptoms like sneezing, coughing and red teary eyes. It would also appear in warm and dark areas. The best way for you to prevent molds is to regularly inspect your carpet. 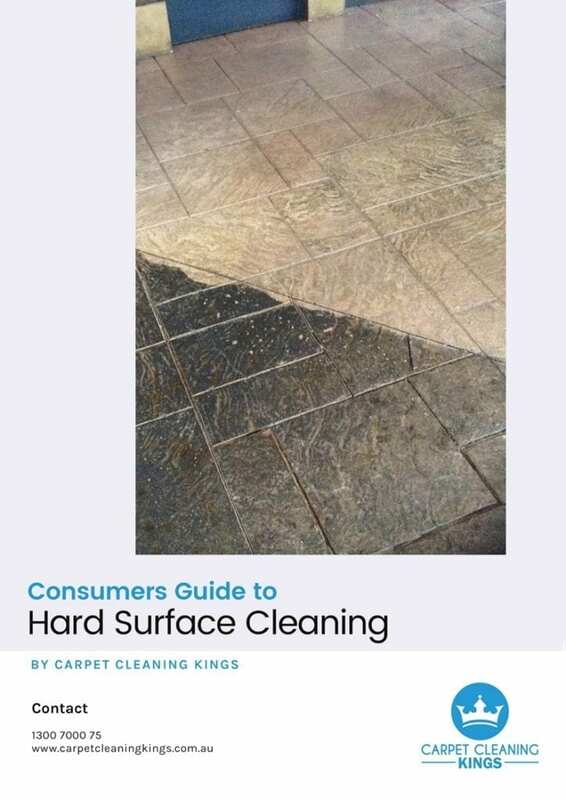 Look out for anything out of the ordinary like green or black stains that grow and start to change shape and a smell that won’t go away no matter what you do or how you clean it. Foul smelling carpets would affect the air quality inside your homes and would pose to be a serious health risk for you and your family. Thus it is crucial for you to seek the services of a professional carpet cleaning service like Carpet Cleaning Kings. One of the most telltale signs that your carpet needs to be cleaned is when it already looks dull and is full of stains. Does it look dull and worn out? A newly cleaned carpet should look vibrant and dirt-free, it should be rid of stains and bacteria. You should never attempt to deep clean your carpets on your own cause the wrong cleaning product could damage your carpets permanently. If your carpets have stains and is already looking dull, then you should certainly call the experts at Carpet Cleaning Kings for free carpet cleaning quotes. Dull looking carpets are one of the tell-tale signs that your carpet already needs to be cleaned by a professional. In order to increase your carpet’s longevity, it is crucial to have it cleaned by professional carpet cleaners in your area. 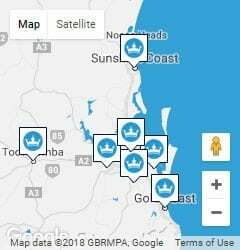 Carpet Cleaning Kings offer free carpet cleaning quotes if you want to know how much it would cost you to have your precious carpets cleaned by a professional carpet cleaner near you. Aside from carpet cleaning we also specialize in any type of cleaning services that you might need whether you need your mattresses to be cleaned or you need to have your furniture cleaned. Expert cleaners here are Carpet Cleaning Kings are trained to give you the best services for the money that you are paying us with. Having your carpets cleaned regularly would rejuvenate it and bring back its natural color. Your carpets would naturally suffer wear and tear over the years especially if there are a lot of people who walk over your carpets. Having your carpets cleaned regularly would restore it to its beauty just like when you first bought it. 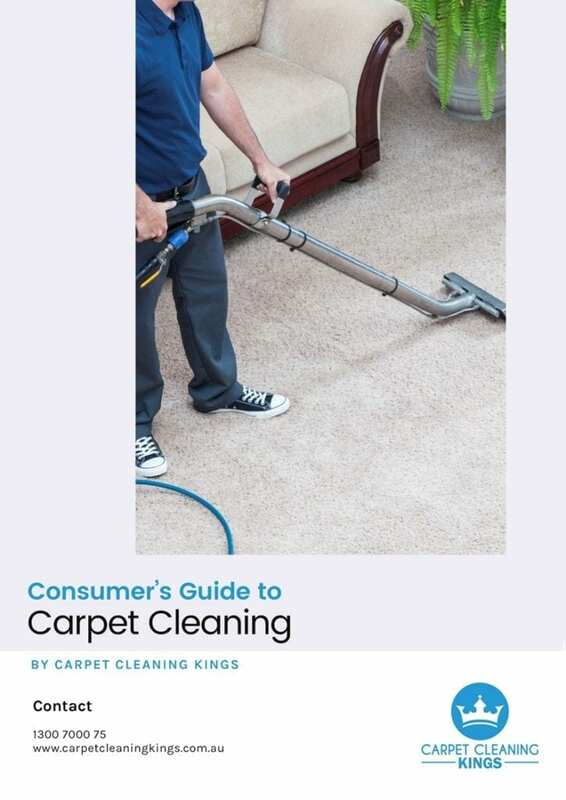 If your want your carpets to look the way they were when you first bought it, then look no further Carpet Cleaning Kings is your to-go carpet cleaning company for your home cleaning needs. We all want a pet of our own but if you have carpets, then you’ll have to get your carpets cleaned more often. If you own a dog, you’d probably know where your dog stays most of the time just by looking at the carpet. 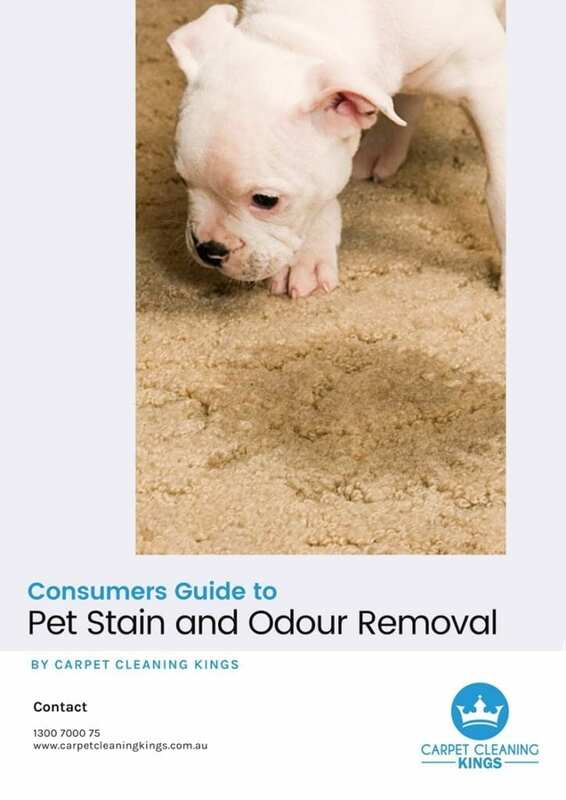 Your pets might urinate on your carpets which will leave your carpets wet and full of bacteria, your pets might tear your carpets with their paws. So if your pets spend a lot of time indoors then, you should sign up for regular carpet cleaning. 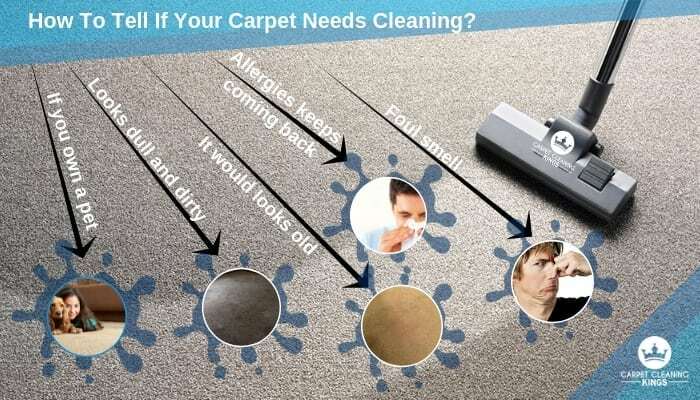 Dirty carpets doesn’t only look bad in your home but it is also a boon for you and your family’s health. Surprisingly, you can extend the lives of your carpet by hiring professional carpet cleaners. Carpet manufacturers tells us that the most effective form of carpet cleaning is through steam cleaning your carpets. Carpet Cleaning Kings specializes in hot water extraction which is also known as steam cleaning. We steam clean any type of carpet that you might own. So you would never have to attempt to steam clean your carpets on your own as applying too much water when using steam cleaners would cause water to be left in your carpets. Water, if left on any type of fabric especially carpets would cause mildew and would be accompanied by a foul smell. To find out cleaning services that is suited for your home cleaning needs, don’t hesitate to pick up the phone right now and give Carpet Cleaning Kings a call at 1300-7000-75.